Today the news everywhere is about the winter storms that have a grip on many areas of the US. We escaped Dodge, I mean Oklahoma, just in time it seems. When we woke up this morning in Santa Rosa, there were school closures being announced on the radio. We looked out the window and there was nothing on the ground. It was very cold, and Jim was up a few times in the night checking on the water and the furnace. All was well. But we changed our plan to go through Albuquerque towards Flagstaff, and that turned out to be a wise move. Instead we turned south down Hwy. 54 and eventually made our way to Deming, NM, where we are tonight. We ran into some light snow on the way, which soon got a little heavier and started to pack on the road. If we’d been in the car with snow tires, we’d have no worries, but not knowing how the RV would handle slippery roads caused some concern at an elevation of nearly 7000 ft. By two o’clock we were on the descent. When we stopped to eat, the wind was still strong and there seemed to be a mix of snow and sleet, but when we left the restaurant it had all stopped and the sun was peaking through the clouds. It was smooth sailing after that. It seems that everyday we find ourselves squinting as we drive into the sunset. We are blessed. I’ll add pictures to this tomorrow night, when we expect to be in Mesa Arizona, with a better internet connection. 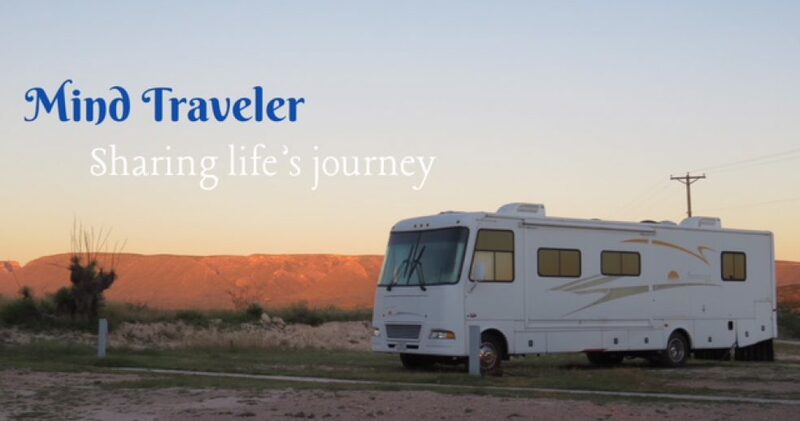 This entry was posted in RV Travel, Travel, Winter and tagged Deming New Mexico, RV Travel, snow, travel. Bookmark the permalink. I am really enjoying hearing about your exploits and discoveries!! Sunny here 🙂 I read the UK had 147 mph winds though!! Sunny here this morning too! 🙂 hope that will remain the case for the rest of the winter.